Kyra becomes New Champion at 12 months old! 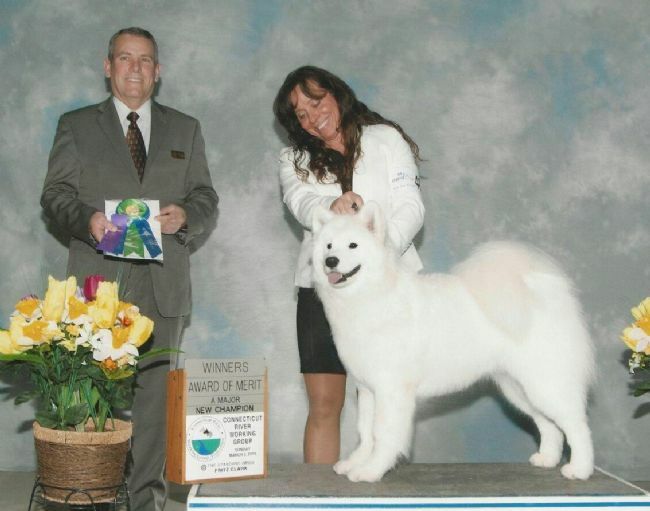 White Magic's Walking on Sunshine "Kyra" wins two 5-point majors and Award of Merit on March 1st and 2nd in West Springfield MA, becoming a new champion at 12 months old! "Kyra" is a Mufasa x Misty puppy!